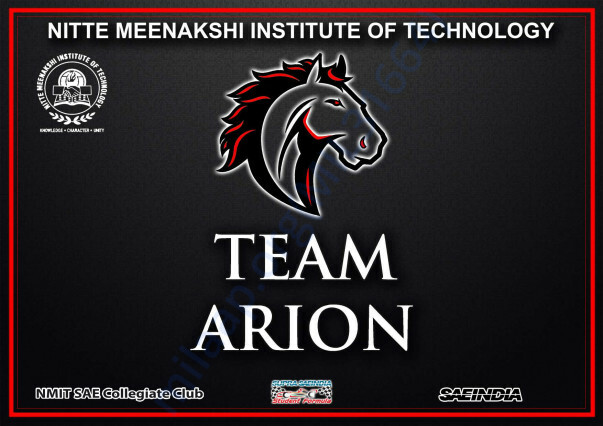 We are TEAM ARION from NITTE MEENAKSHI INSTITUTE OF TECHNOLOGY, BANGALORE. We aspire to design a SAE SUPRA CAR which sets new standards and breaks existing records for functionality, efficiency and sustainability for a future in the automotive industry. This FORMULA SAE SUPRA car is being completely designed, fabricated and tested by engineering students of various disciplines. With zeal and spirit we give rise to reality with our ideas and effectively use technology to exude creativity utilizing our strengths and knowledge. 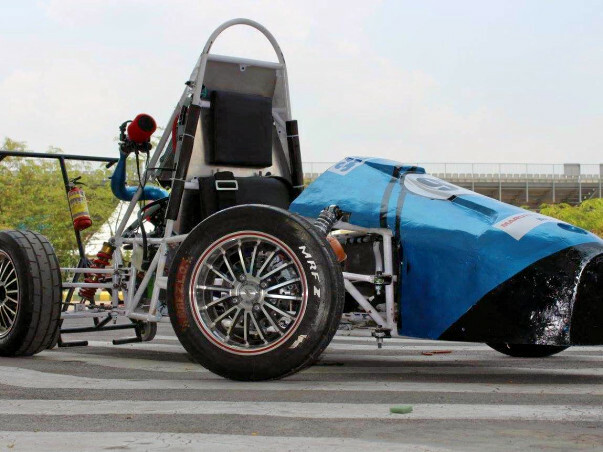 The team hopes to showcase their hidden talents among international professionals and universities of INDIA. The event is being conducted by SAEINDIA at the BUDDH INTERNATIONAL CIRCUIT, GREATER NOIDA, NEW DELHI. 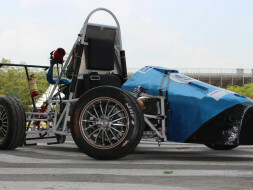 SUPRA is being organised annually by SAEINDIA with the support of Maruti Suzuki, the event provides a platform for students to apply their engineering skills to design and construct a Formula category vehicle as per defined performance and safety specifications. SUPRA SAEINDIA 2017 comprised of a series of Static and Dynamic events spread over five days, concluding with a final Endurance run and a valedictory function on July 1st, 2017. We require funds to develop our SAE SUPRA CAR to showcase it for an event and championship in JUNE 2018. We are stuck in our fabrication work due to lack of money. We have run short of funds in development and fabrication of our SUPRA CAR PROJECT. We, the engineering students would require great help in funding our project so that we could participate and win the SAE SUPRA CHAMPIONSHIP.